Worm farming is getting popular day by day. More and more people all over the world are now interested in making money with worm farm and even some are making good money each month. If you are also interested in this business and want to make some extra money this is a good time to start with worm farming. Worm farming is now very much popular for women who are somewhat inclined towards farming and nature. People are today becoming more conscious about environment. And with the help of worm farming they can do the best for nature and environment. May be worm farm and worm farming sound bit unconventional but it is an awesome way of recycling and doing something good for environment. To get started with worm farm is easy if you have proper help at hand. 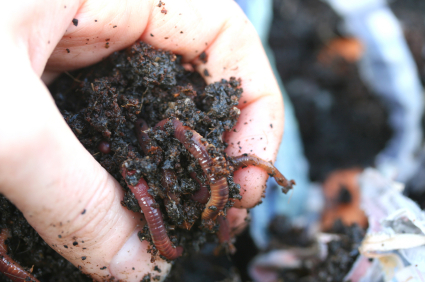 One of the most beneficial parts of doing worm farming is its environmental conservation. Recycling is one of the best things that you can do for the environment. This is simply a way by which you can make some extra income each month. With the help of worm farm you do not need to get fertilizers for growing fruits and vegetables at your backyard. Even you do not need to spend more time for this. Just with some enthusiasm and little efforts you can get a perfect worm farm of your own. Recycling by composting with the help of worms is a part of worm farming which does not need to have minerals and rich fertilizers. You can easily grow healthy fruits and vegetables without the need of produced fertilizers or growth enhancers. You need not to be good agriculturists for all this. You can just start if you are little interested in gardening. So just get the knowledge and get started now.